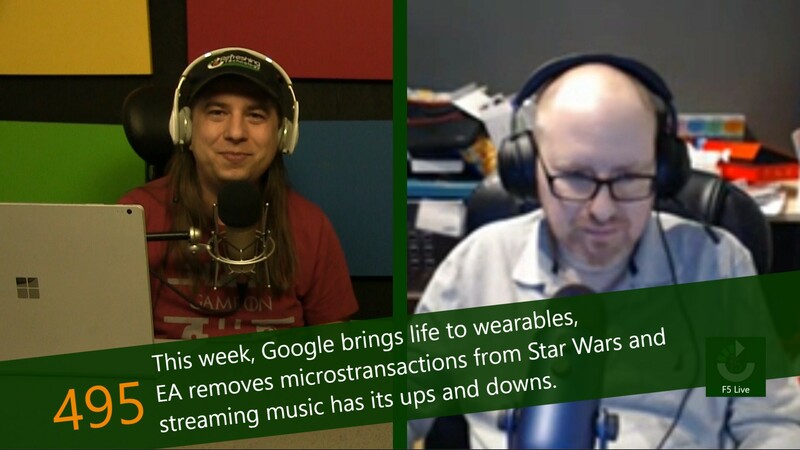 This week, Google brings life to wearables, EA removes microstransactions from Star Wars: Battlefront II and streaming music has its ups and downs. This week, Google made an announcement that was not expected: Android Wear is no more. The product is not being shuttered, but instead it has been rebranded as Wear OS by Google. Google claims that the reason for the change is related to a change in their customer base. Lately it would seem that no videogame company is farther away from understanding their customers than EA. When the company was preparing to release Star Wars: Battlefront II , they made the decision to include microtransactions in the game. This was far from the first AAA title to do this, but it was certainly the most pervasive. Certain parts of the game required so much in-game currency that it would take over 4,500 hours of gameplay to unlock; that is unless you paid for it. That same currency would cost about $2,100 to achieve. In the last year, some of the most distressing stories in technology have come from the cryptocurrency industry. From fraudulent ICOs (initial coin offerings) to exchange heists, getting into cryptocurrencies has never been more dangerous. Because of all of the bad blood in the market, a major player has decided to move away from it: Google Ads. There's no doubt that the battle over streaming music is getting heated. As the companies involved get more focused, it is inevitable that the industry will see ups and downs. At the end of 2017, we saw Microsoft exit the market after nearly a decade, shuttering their Groove Music service (previously Zune Music and Xbox Music) and transitioning the customers to the market leader, Spotify.